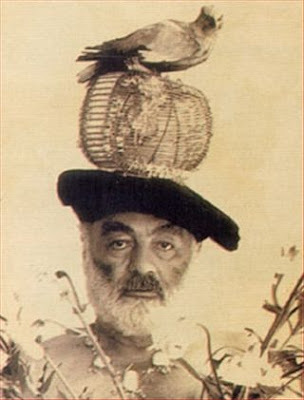 Sergei Parajanov is considered by many to be one of the most original and critically-acclaimed filmmakers of the 20th century. He was born to Armenian parents Iosif Paradjanyan and Siranush Bejanyan, in Tbilisi, Georgia. He died of cancer in Yerevan, Armenia, on July 20, 1990, aged 66, leaving his final masterpiece The Confession unfinished. It survives in its original negative as Paradjanov: The Last Spring, assembled by his close friend Mikhail Vartanov in 1992. He left behind a book of memoirs, also titled "The Confession". Such luminaries as Federico Fellini, Tonino Guerra, Francesco Rosi, Alberto Moravia, Giulietta Masina, Marcello Mastroianni and Bernardo Bertolucci were among those who publicly mourned his passing. - You've been planning your new film, Confession, for a long time. I owe Armenia a cinematographic confession, a sort of personal bible. It's about my mother, my father, my childhood, my isolation in prison, my vision of dreams. And the tragedy of a cemetery being torn up to allow for a cultural park in honour of (Sergei) Kirov. The cemetery must give way to honour the Communist Kirov. The Soviet patriot arrives, and the ghosts are cast out. They don't know where to go, so they seek shelter with me, their living heir. But I can't take them in. I'm obliged to report to the local police that they are spending the night with me. I, who have no electricity, who is not an insurance agent. They know no evil. Their generation, back then, was kinder. They only want to stay with me. And I must die before their eyes to prove I love them. It's my duty to my people. I am an Armenian from Georgia. I've made films in the Ukraine. I've suffered behind bars in Georgia and the Ukraine. Sometimes I wake up at night, and I imagine I am being attacked by lice. You may enter prison clean, but they swarm all over you. Within two hours you are covered with lice. I liked the article about Paradjanov. There is one thing is inexact and partial. The author of the article mentions that he was imprisoned for " ..incitement to suicide and homosexuality". It is true that the Soviet regime was using the anti-gay law of the penal code to intimidate non-conformist and dissident intellectuals. But in case with Paradjanov one thing is true that he was homosexual. And he never denied it. In Moscow there was published a book of Pardjanov called "Confession" with some of his letters to his friends and wife from prison detention. In a letter to the film-director Roman Balayan he compares his destiny with the one of Oscar Wilde. They were both married, they both loved men passionately and they were both imprisoned for their homosexuality. This part of Paradjanov's life is often ommited by his fans and biographers. But time will come when Armenia will love the "gay" magician, too. If today's Armenia is having difficulties with accepting its "homosexual" citizens ... doesn't mean that they didn't exist, they don't exist or they won't exist. The time will come ... I believe in it. And Armenia will regret the period when it was so badly deaf and myope to the destiny of its gay and lesbian citizens.